BOLLYWOOD | Badshah of bollywood Shah Rukh Khan received his graduation degree today, 28 years after passing out from Hansraj College here. 50-year-old actor recently returned to his alma mater to promote his upcoming film Fan. SRK, who studied Economics, had never collected his degree from the college. 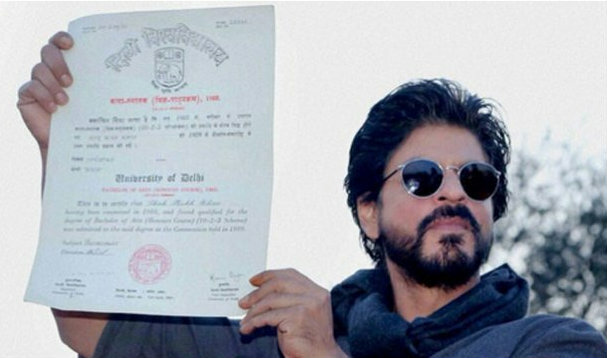 When King Khan visited Hansraj again, he finally received his degree after all these years. The 'Dilwale' actor tweeted: "What a beautiful day! Thank you university mates and faculty. Love to all for such a memorable emotional moment."